You are receiving this email because you commented, either by email or hand-written card, on the fate of the Palisades and Shoal Creek Wilderness Study Areas (WSA’s) as part of the Wyoming Public Lands Initiative (WPLI). Thank you for interest and comments. As a reminder, the Palisades WSA (PWSA) encompasses 134,417 acres of mountainous terrain south and southwest of Jackson, Wyoming. 79,517 acres are administered by Bridger-Teton National Forest (BTNF), and 54,900 acres are administered by Caribou-Targhee National Forest (CTNF). 71,780 acres lie in Teton County, Wyoming and 62,637 acres lie within Lincoln County, Wyoming. The Shoal Creek WSA (SCWSA) contains 32,373 acres of mountainous terrain southeast of Jackson. 11,619 acres lie within Teton County and the remaining acres within Sublette County. Both the PWSA and the SCWSA are part of the 34,375 square mile Greater Yellowstone Ecosystem (GYE), one of the few relatively intact temperate eco-systems on earth. The Teton County WPLI considers only National Forest land within Teton County: 71,780 acres for the PWSA and 11,619 acres for the SCWSA—small but important pieces of the GYE. These two areas were considered by congress as potential additions to Wilderness as part of the 1984 Wyoming Wilderness Act (WWA) but were left out pending a final review by the Secretary of the Interior in order to assess their potential for oil and gas production. That review was supposed to occur within 3 years, after which they were either to be released for oil and gas production or designated by Congress as Wilderness to be managed per the 1964 Wilderness Act. Thirty years later, a final designation has not occurred. In the meantime, the 1984 WWA mandates that these WSA’s are to be administered “so as to maintain their presently existing wilderness character and potential for inclusion in the National Wilderness Preservation System…” while specifically allowing oil and gas exploration. The act also stated that snowmobiling is “to be allowed in the same manner and degree as was occurring prior to the date of enactment of this Act.” The Act did not mention biking or any other specific mechanized uses. I’ve read all of your comments, and they vary. For no other reason than that I am passionate about our nation’s public lands and passionate about all they offer in terms of wilderness and recreational values, I want to share with you my thoughts. They are mine only and in no way represent the position and policy of the 5-member commission as a whole. You are free to touch base with any individual commissioner whenever you choose in order to ascertain their individual thoughts. Many of you wrote that you would like to continue accessing Forest Service lands in Teton County by bike, snowmobile, dirt bike and/or ATV as well as by foot, horseback, skis or wheel chair. Others of you wrote in that you would prefer to see significant portions, if not all, of the WSA’s designated as Wilderness that by law would exclude motorized and mechanized uses unless needed to allow access for disabled people. None of you wrote in that you would be fine watching the landscape degrade or be permanently altered by the development of roads, clear-cutting, oil and gas wells or mining. For many of you permanently designating these WSA’s as Wilderness means losing access by snowmobile, motor bike and mountain bike (uses not allowed in Wilderness). Likely you snowmobile, motor bike and/or mountain bike, and to you the terrain in the Palisades and parts of Shoal Creek are world class, offering remote and challenging terrain that tests even the best snowmobilers, dirt bikers or mountain bikers. It’s clear by your comments that access to large expanses of rugged, challenging, beautiful and remote terrain is fundamental to your psyche, and you do not want to give it up. For others of you, it’s equally clear from your comments that Wilderness designation is the only designation that matters. It’s clear that in your evaluation Wilderness is the only way to insure that the Palisades and Shoal Creek landscapes are protected for their “natural condition,” for their ecological value, and for their opportunities for “primitive” forms of use (non-motorized, non-mechanized). Lands designated as Wilderness are meant to remain unmodified, “undeveloped,” “untrammeled,” raw and feral, where humans are a minor player and might get charged by a moose, mauled by a bear, stalked by a cougar or simply just end up lost. True Wilderness is for wildlife, not humans. I’m guessing that if you took time to comment, then you appreciate untrammeled and undeveloped places in order to escape, well, trammeled and developed places. I’m guessing, like me, you appreciate places where you can look out across a vast landscape wondering what is hiding there and what it might take to find it, like being at the edge of a frontier. But aside from the benefits to the individual, these public lands also keep our water clean—in Teton County runoff from the surrounding peaks creates an underground river to constantly flush our groundwater and preserve its quality. And undeveloped public land keeps our air clean—if all of the county were private, imagine how much air pollution would be trapped in the valley during winter inversions. These public lands harbor wildlife, and whether you choose to hunt it or shoot it with a camera, or simply know that it’s there in the woods and mountains, healthy wildlife populations matter to us all. Public lands provide those vital amenities as well as places to hike, backcountry ski, snowmobile and bike. But…can too much recreation do just what we’re hoping not to do to the landscape? Or to the wildlife? Where is the line between no impact, a little impact, and too much impact? America is the nation that defined the pursuit of life, liberty and happiness. And exploring frontiers is fundamental to that pursuit. Whether exploring mountains, rivers and canyons, or landing on the moon, crossing new frontiers is part of our psyche, testing us in ways we fundamentally need to be tested: physically, mentally, spiritually. Have we lost our last wild frontiers? It appears from your comments that though we are a community of passionate advocates for the wild, we are torn as a community over the simple question of how we experience it. Internal dissonance is not comfortable, and to avoid the discomfort we retreat to the safety of what we know best, to acceptance, to safe quarters where we won’t get criticized for taking a stand or holding a view because others feel the same way. But I wonder if our retreat might block our ability to permanently resolve the question of how the Palisades and Shoal Creek should be managed? 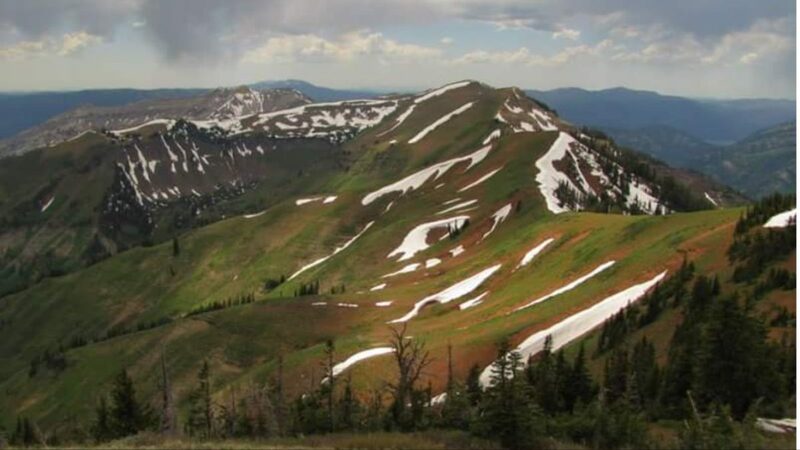 I also recognize significant amounts of terrain in the Palisades that are relatively heavily used and offer some of the best cross-country mountain biking, downhill mountain biking and snowmobiling in the intermountain west, if not the nation. Whether the right Wilderness/Non-Wilderness split for the Palisades is 44,000 acres of Wilderness and 27,780 acres of non-wilderness, or more of one and less of the other, I don’t know. But I do know that something roughly around that amount provides ample multi-use recreation opportunities on lands west and north of Mosquito Creek and south of Highway 22 while reserving land south of that to the county border for Wilderness. I reckon many of you think that’s too much Wilderness. Perhaps you think there shouldn’t be any at all. To others of you, the very thought of giving up even one acre of PWSA is unbearable, and I’m giving away the farm, selling Wilderness down the river. At some point the adventure must begin, the first step taken, the commitment made. This landscape deserves protection, we all know that. At a minimum, I hope you will join me in committing to preserving it’s rugged, undeveloped, and unmarred wild character, Wilderness or otherwise.